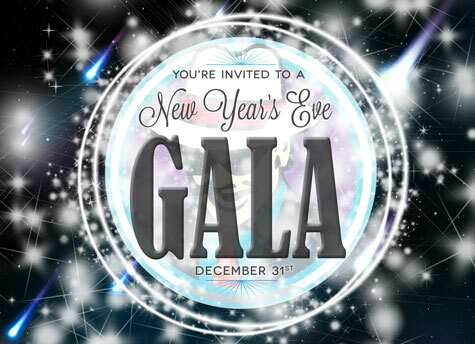 On New Year's Eve we offer two shows - an early bird show, and our second (late) show which includes a champagne toast at midnight, D.J., dancing after the show and much more. There are no free infants - every seat will be charged accordingly. Parties of 10 or more will be charged a gratuity fee. No coupons are accepted at the Gala, however, we do have an early show where coupons are accepted. 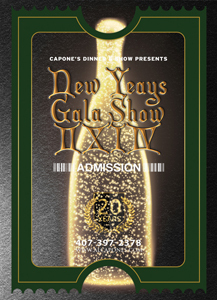 The early show will be Tuesday, December 31, 2019 at 5:00 p.m.; the late show gala at 9:00 p.m.
Like the waiter said "we are repeated offenders" it was our second time and the new year's gala was PERFECT! the food was great and the show always keeps me laughing. love how they pick pick guest from the audience to participate. the waiter is always very attentive and the staff is beyond great! I love this place!!!!!! Help the Wise Guys & Gals Count Down to the New Year! Dress the Part & Have Some Fun! 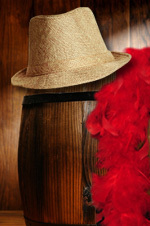 Dress up for the New Year's Eve Gala with a feathered boa or a classy fedora!